A twilight session designed to introduce teachers to GeoGebra, an interactive piece of geometry, algebra, statistics and calculus software. GeoGebra is used by maths teachers across the country, and can help expand your teaching of A level and GCSE Mathematics. Teachers who enjoy the session can opt to attend our intermediate session, taking place in early March. 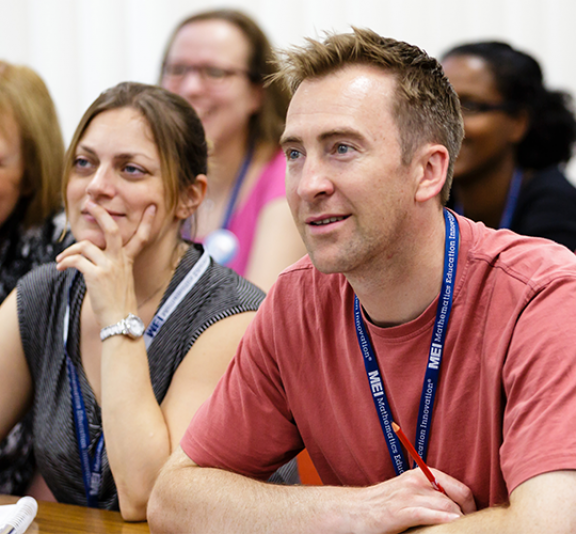 The course is suitable for all teachers of GCSE/A level Mathematics. No previous experience of using GeoGebra is expected for the session. For the first session, any device with GeoGebra installed on it will suitable (laptop, tablet or smartphone). This can be downloaded for free. Tom Button is Student Support Leader for the Advanced Mathematics Support Programme and MEI's Learning Technologies Specialist. In addition to his work for the AMSP, Tom is an expert in the use of technology for the teaching and learning of mathematics and has presented a large number of professional development courses. Tom's blog, Digital technologies for learning mathematics, can be found here.